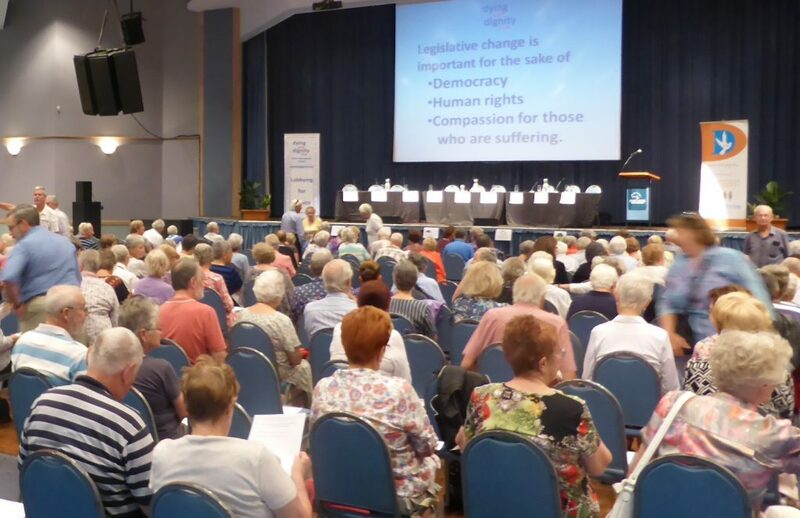 Dying with Dignity NSW advocates for compassion, dignity and autonomy, to allow those who are suffering to direct their own medical care, up to and including their end-of-life decisions. Lobby politicians and provide feedback to them on proposed legislation etc. Build alliances with key stakeholders, especially those involved in end-of-life health care. 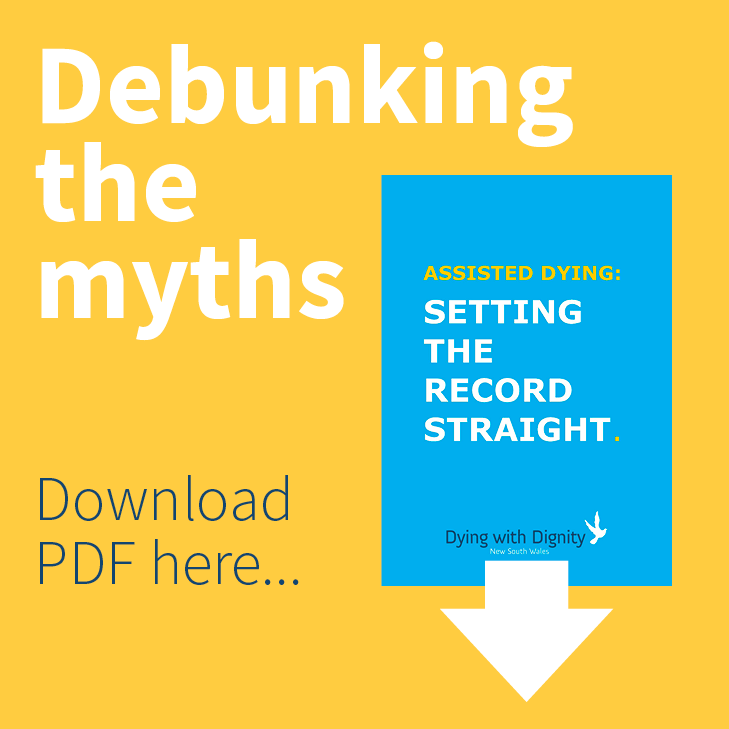 Liaise with journalists to focus attention on the issue of voluntary assisted dying (VAD), provide current information and correct reported misinformation. Create and promote videos of personal stories related to VAD (eg. Annie’s story). Run big awareness ‘campaigns’ prior to an election or Parliamentary debate. Increase public awareness through hosting public forums and workshops – see our Events page for upcoming events. Run meeting groups in regional areas for supporters to share information and meet like-minded people. We currently have very active groups on the Central Coast and the Midnorth Coast – see our Events page for details of upcoming group meetings and contact details. Promote active discussion and sharing of factual information via social media – see our Facebook page and our twitter feed. Encourage our supporters to express their views in the media (eg. submit letters in response to newspaper articles), and to contact politicians via letters or personal visits. Write Parliamentary submissions and encourage other key stakeholder groups to do the same. Write articles and letters to newspapers and on-line journals. Share news of national and international developments in end-of-life options (via our website and our newsletters). Encourage people to discuss their end-of-life preferences with family and friends. Provide advance care planning documents, so that our members can protect themselves to the full extent possible under the current law. Fundraise to ensure we have sufficient funds to run our organisation until we achieve legislative success. Click for the ‘Who we are’ webpage.